Local nonprofit agency Bible in the Schools has given $1.3 million to Hamilton County Schools to fund the 2017-18 countywide public school Bible history elective program, a news release states. Enrollment data from 23 schools taking part in the program show 4,068 students in grades 6-12 completed the courses during the 2017-18 academic year, a record enrollment. "We are committed to providing our students with a world class education, which includes making sure students develop a broad understanding of the events, writings, and ideas that have shaped Western society and the culture around them," schools Superintendent Bryan Johnson said. 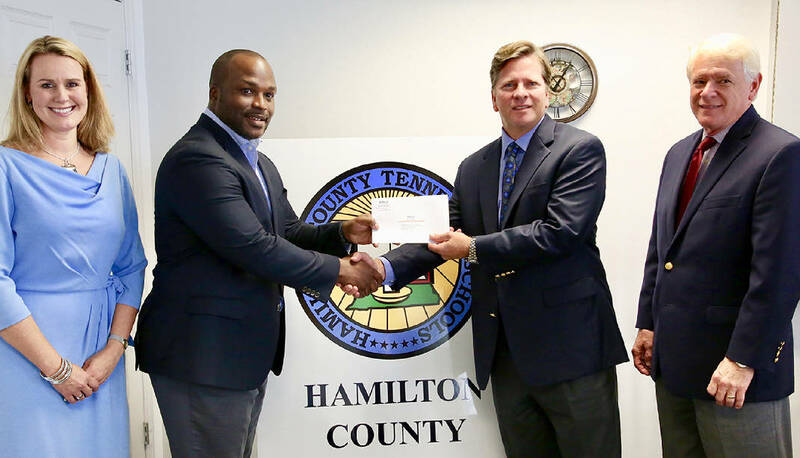 "This gift — which was the largest philanthropic gift received by Hamilton County public schools during the 2017-2018 school year through community partnerships — empowered Hamilton County Schools to hire 20 qualified and certified Bible History teachers for the 2017-2018 academic year." Bible in the Schools board chairman Chris Maclellan said the organization's "commitment to providing Hamilton County Schools with Bible History elective courses has sustained for nearly 10 decades. It is our privilege to deliver this gift that represents thousands of generous people who understand the importance of exposing young people to the Bible." He said, "Every year, there is evidence that Bible History provides a unique benefit to public school students, at no cost to taxpayers, and has a lasting impact in student lives. We look forward to having 25 participating schools this fall, and our board is greatly encouraged to have seen county-wide student access to Bible History increase from 67 percent to 81 percent in the past 24 months." The Bible history courses will expand to 25 schools this fall, be taught by 22 credentialed teachers and led by a full-time Bible history program coordinator, all fully funded through charitable donations to Bible in the Schools. Bible history classes follow guidelines established in a 1980 federal court ruling that affirmed teaching of Bible history for-credit electives in Hamilton County's public middle and high schools as constitutionally permissible.